Submitted by Xico Greenwald on February 20, 2014. Marianne Gagnier: Of This World - New Paintings | Suzanne Kammin: Greater and Lesser Vehicles | Ro Lohin: Snow Paintings at The Painting Center, New York, on view through February 22, 2014. Three artists exhibiting side-by-side at the Painting Center are presenting refreshingly straightforward abstractions. Each with her own distinct approach, Marianne Gagnier, Suzanne Kammin and Ro Lohin make well-crafted paintings that renew Ab-Ex innovations. Marianne Gagnier’s canvases are pared down to the basics. Forgoing design ideas and compositional games, these plainspoken artworks are comprised solely of energetic strokes of richly pigmented, fluid paint. 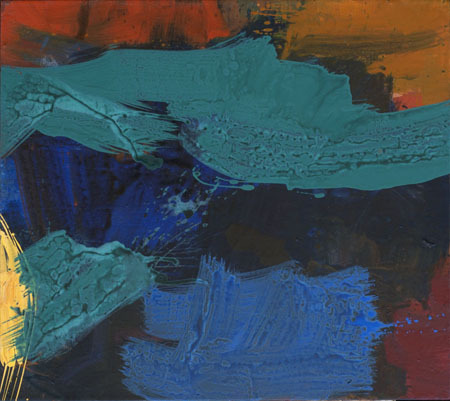 Made with thinned acrylic that splashes and puddles across the canvas, the nine pieces on display look like they were painted face-up on a tabletop - the worked, multi-layered surfaces smooth as ice. 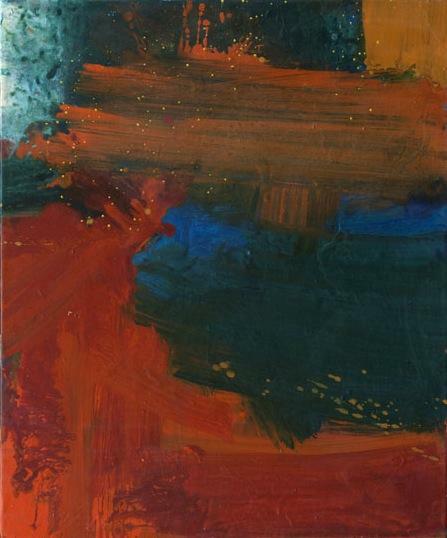 Chanson, 2013, has a dark indigo background, with short strokes of orange, red and yellow evoking the lights of a city after hours. 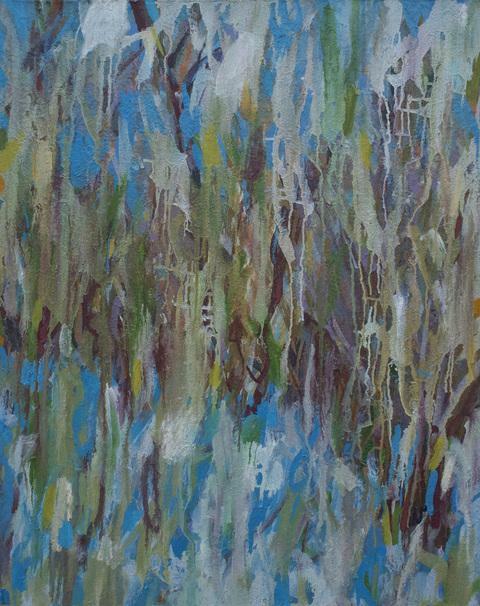 Across the top of this painting, a wobbly stroke of turquoise dangles like a ruffled ribbon. Night Window, 2013, also evokes a city after dark, but in this canvas the velocity of Gagnier’s strokes have the speed of highway traffic. In one corner of the wet-into-wet painting, scarlet red marbleizes with vermillion while tiny lemon-yellow dots sprayed across the canvas look like reflections on glass. 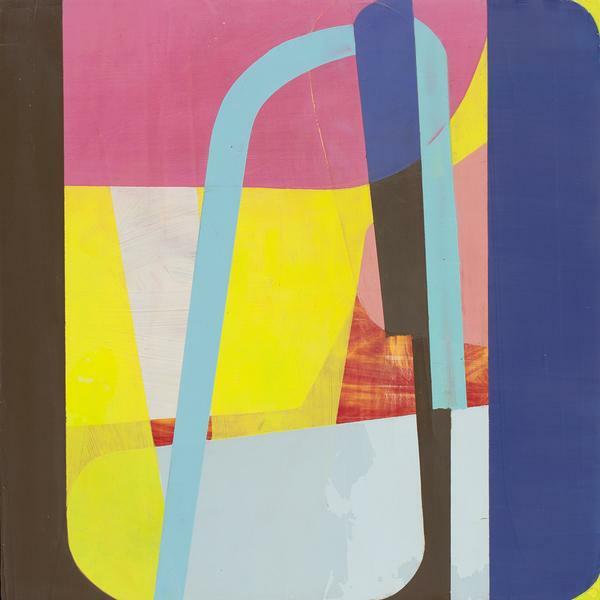 In the adjoining gallery Suzanne Kammin’s oil-on-panel compositions are hard-edged arrangements of shapes in synthetic colors, paint squeegeed to a smooth finish. Crisp shapes seem to have been taped off, meandering lines the width of masking tape exposing layers of under-painting while guiding the eye around the pictures. 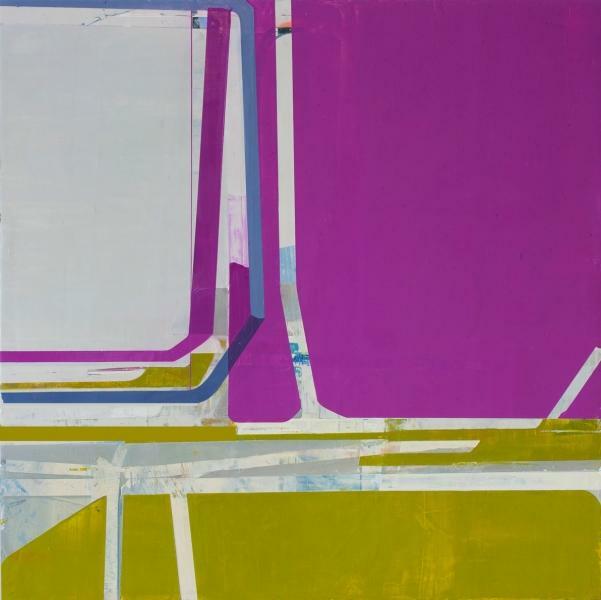 Magenta, olive green and grey shapes push against each other in Many Happy Returns, 2012-2013, a painting that contrasts large expanses of color against scumbled paint, showing off Kammin’s feel for materials. 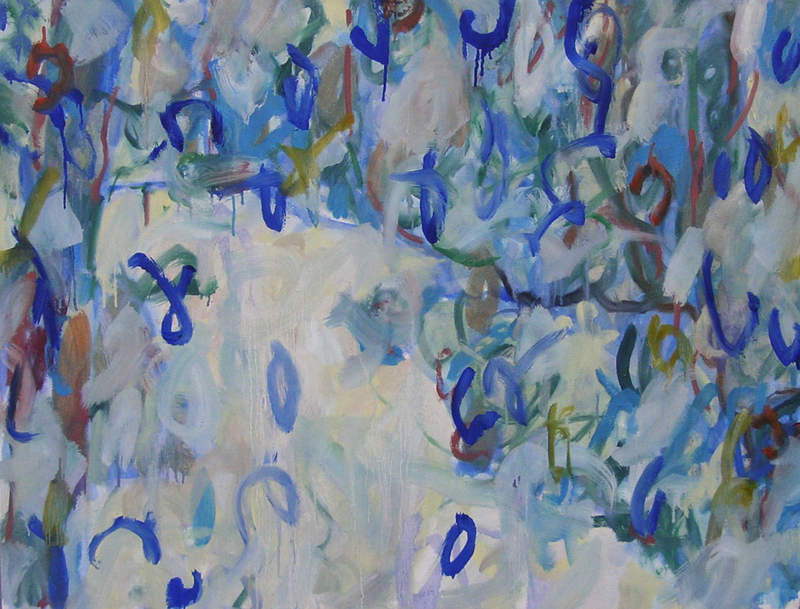 Ro Lohin’s paintings, exhibited in the Painting Center’s Project Room, were made outside during the winter of 2011. The all-over compositions here have strong calligraphic strokes reminiscent of Mark Tobey’s “white writing.” Lohin’s thinly painted drippy marks, inspired by bare trees and snow, convey crisp winter light. Subtle off-whites are contrasted against bright blue curlicues in Blue Passage. Ochre and red strokes here and there add complexity to this picture, a painting that serves as a welcome reminder of the beauty in snowfall. In line with this trend, Gagnier, Kammin and Lohin, though all handling paint differently, rely on a sense of touch to convey their unique sensibilities, though here high-level craftsmanship is maintained.